In 2017, the Elite collection welcomes a new model housed within a case that is smaller than previously: the Elite Lady Moonphase 33 mm, a combination of technical excellence and timeless distinction. 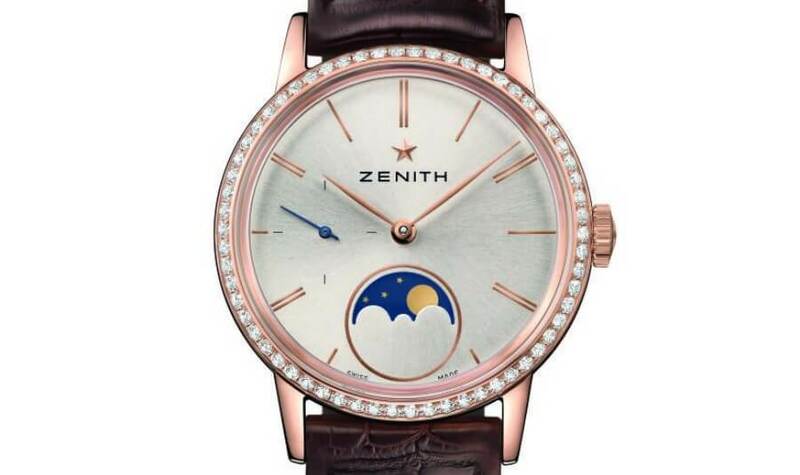 Available in rose gold or steel versions, this slim, feminine timepiece will delight the hearts of women who love fine mechanisms but do not wish to sacrifice the innate elegance of glamour expressed in a refined and understated manner. The Elite Lady Moonphase conveys its elegance through five variations made of 18K rose gold or stainless steel. The ultra-thin 33 mm-diameter case, water-resistant to 50 metres, is fitted with a fluted crown enabling smooth moon-phase adjustments. Its exhibition case-back provides a chance to admire its mechanism powered by an oscillating weight adorned with a “Côtes de Genève” motif. Surrounded by a diamond-set or polished bezel, the pure mother-of-pearl dial is graced with a star-studded deep blue moon disc. 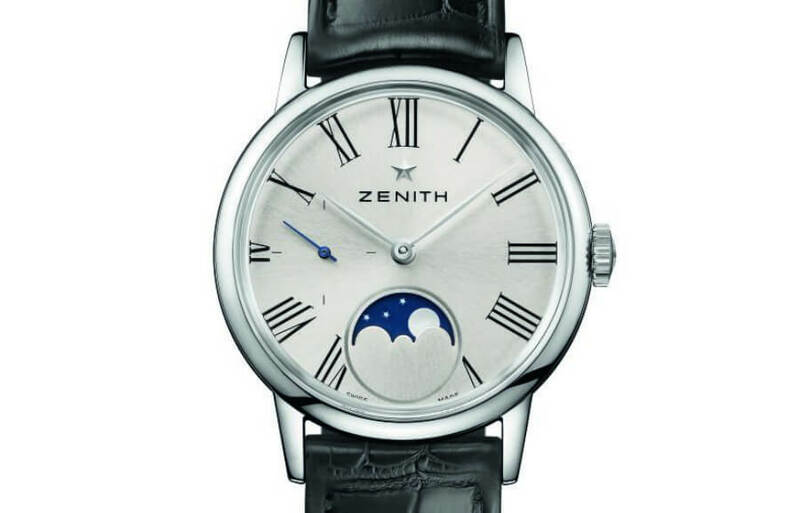 Slender leaf-shaped hands sweep over stylised engraved hour-markers, or else slim Roman numerals on one of the versions. 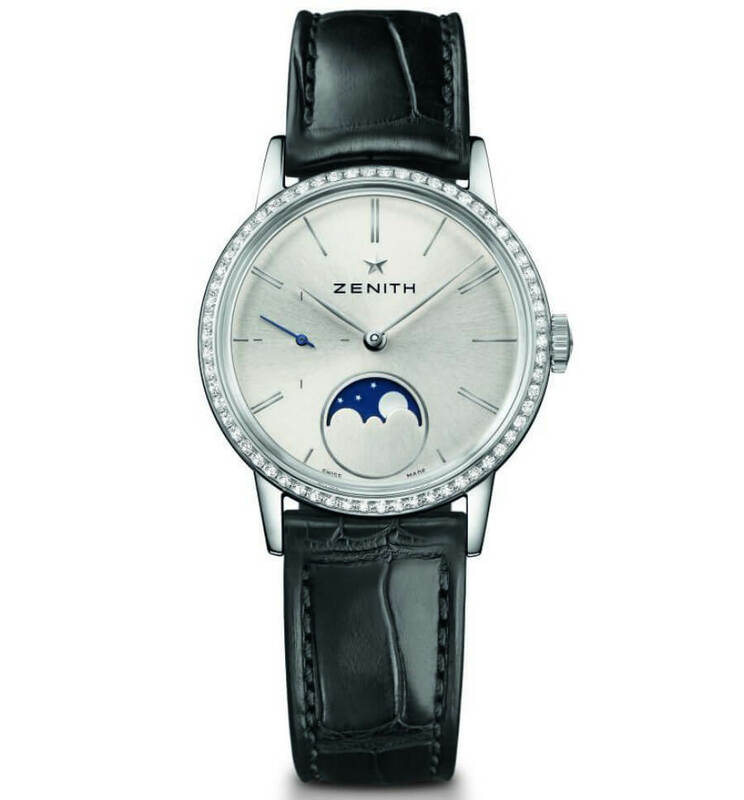 The heart of this new ladies’ watch beats to the rhythm of the automatic Elite Calibre 692, entirely developed and crafted by Zenith. 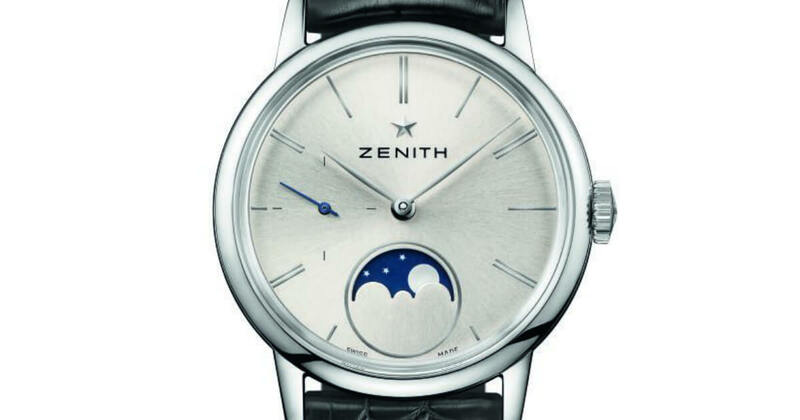 Endowed with a more than 50-hour power reserve, this ultra-thin movement operating at a frequency of 28,800 vibrations per hour and comprising 195 parts – measuring an exceptionally slim 3.97 mm – powers indications of the hours, minutes, small seconds and moon phases. Exquisitely feminine in every detail, the Elite Lady Moonphase is fitted with a glossy black or brown rubber-lined alligator leather strap secured by a stainless steel or pink gold pin buckle. These five new Elite references embody ageless elegance entirely in tune with the times.